In October, Converse will be releasing a PRODUCT RED sneaker in conjunction with the estate of graff-legend, Mr Dondi White (one of the founding fathers of graffiti as we know it). The estate of the artist send over some old sketchbooks, out of which the Converse designers chose designs for the sneakers. There will be a more commercial white edition and a very limited black edition of the sneaker. 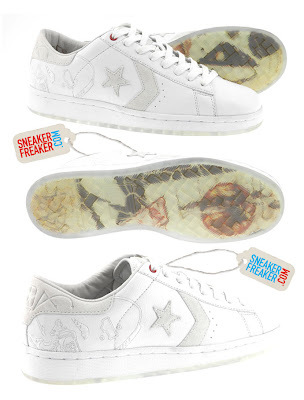 Find out all the details of the project in the mini interview that Sneaker Freaker held with the Converse head designer on this project here. Friday Flashback: Converse TD's Tony Dorsett.